When it comes to competitive fighting games, the PlayStation 4 is a bit lacking. We got an enhanced version of the superhero themed Injustice: Gods Among Us at launch, but that's about it. The combo starved among you can rest easy, though, as Tekken producer Katsuhiro Harada recently stated his intentions to bring the long-running series to the PS4. 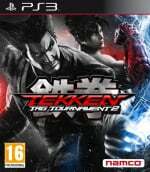 When asked on Twitter about a possible port of Tekken Tag Tournament 2 for the next-gen system, Harada replied by shifting the focus to a new game. "I want to develop a new one for the PS4," he said, in what can only be described as an unabashed tease. The fighting game guru recently hinted that he intends to announce two new titles this year, though it's unclear just how close we are to getting a glimpse at the top secret releases. As such, it looks like you'll have to put up with Aqua Man for a little while longer. 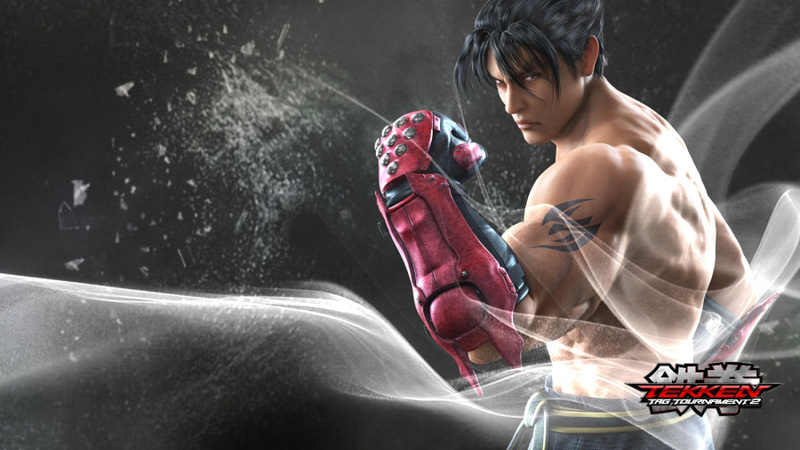 Would you be excited for a totally new Tekken game? Is the lack of fighters on the PS4 an issue for you? Pull off an absurdly complicated combo in the comments section below. Yeah, I can't wait for the first inevitable PS4 Tekken game. Definitely my favourite fighting game franchise. TTT2 was a real return to form, and I even thought Revolution was solid - so can't wait to see what they do with next-gen hardware. Also quite looking forward to a new SoulCalibur, as I thought that SC5 was really solid - disappointing story mode aside. I remember how excited i got for seeing Tekken 6 for the first time. I used to go to an arcade to play it until it's console release. The characters (at the time) looked great. Now i would love to see them in PS4 graphics. Can't wait to fight with Nina. @get2sammyb Same here. Although I love DC, I can't get into Injustice, the Mortal Kombat... combat.. is just too stiff for me. I honestly didn't like Revolution in the slightest, but that's probably due to the lack of local multiplayer leaving the whole game in bad taste for me. I'm very glad the next Tekken won't be a port though. I love the series; it's my favorite "realistic" fighter, and not the least because of its very accurate (for a game) portrayal of different fighting styles, such as kickboxing and aspects of Kenpo. Can't wait to see what they do with it on PS4. Tekken is the main franchise I didn't get into. More of a Mortal Kombat Street Fighter and SoulCalibur fan. I hope they produce something amazing though as I think it's getting to be a bit of a stale market in my opinion. I am though loving mortal kombat on my vita and hoping marvel vs capcom and sf x tekken is decent when I get round to these two. I would love to see a Tekken game on the PS4. I've been a Tekken fan since the first one and I liked Revolution. It would be cool to see what new ideas they come up with. I would love to see a new Tekken. Tekken has always been my favorite fighting series, been playing alot of Tekken 2 and 3 the past few days. Honestly though I think they should reboot the series liked they did with Mortal Kombat. id like to see tekken return to the glory of the Tekken 3 days. For whatever reason, that is the pinnacle of tekken games for me. I played 4 & 5, didn't do it for me. I owned 6 for a while & that also didn't do it for me at all. Same with the Soul Calibur franchise...after 2 it went downhill. I'd like to see reboots in these franchises in the way that Mortal Kombat rebooted their franchise with MK9. Heck yeah, can't wait for Tekken. I wish they could bring back Jun Kazama. She was my favorite character in Tekken 2. My dad mastered all her combos and one of them was given to her son Jin. @drumsandperc92 yeah, 2 was my first and TT1 was the best. It'll be rad to see what direction they take the gen jump. Can't wait for the soundtrack too. I know one thing: Tekken will look bloody lovely on PS4. Excited to see what they come up with - hopefully another return to form like TTT2. Tekken hasn't had my attention for years. I want a new Street fighter, Mortal Kombat, dead or alive and capcom vs snk 3. My most wanted fighting game right now is the sequel to 2011's Mortal Kombat, but I'd be all for Tekken 7. This series has been hit or miss it seems like since the PSone days ended. I liked the first three a lot, on PS2 I enjoyed Tekken Tag and Tekken 5 was freaking awesome but in between those releases was the not-so-good Tekken 4. On PS3, it was a mixed bag again. Tekken 6 disappointed but Tag 2 is fantastic and for a f2p game, Tekken Revolution was very well done also. I always look forward to a new entry in this series, but 5 is still tops right now. Tekken 7 is inevitable so whenever it happens hopefully it delivers a definitive 3D fighting experience.